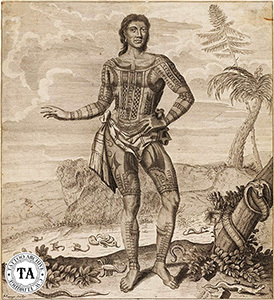 William Dampier was an explorer, adventurer, privateer and the earliest known entrepreneur to promote a tattoo attraction. Dampier brought Prince Giolo to London from the South Seas in 1691, creating such a stir that even the King and Queen demanded to see him. One of Dampier's many books, 'Discourse on Wind' became a classic in meteorology. 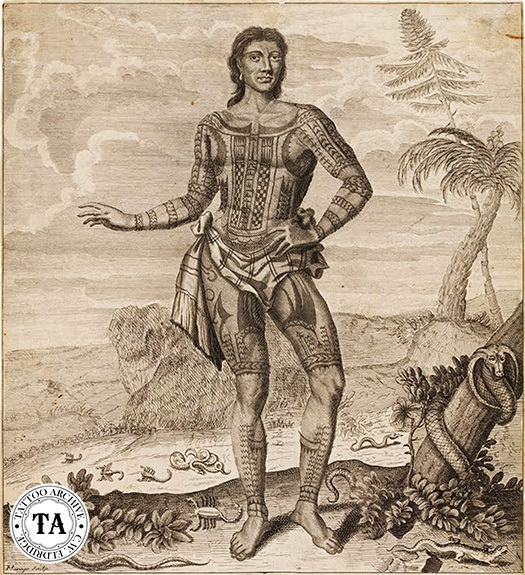 It is unknown if Dampier acquired any tattoos during his travels.